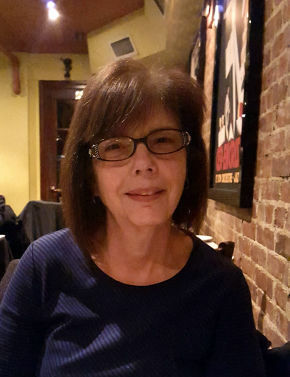 Marion (Lodeserto) Simpson, age 68, of Lodi, NJ passed away on Thursday, February 7, 2019 surrounded by her loving family. Born and raised in Paterson, NJ, she resided in Lodi for 26 years. A passionate advocate for the developmentally disabled in great part because of her loving care of her brother, Frank, she was a parental liaison with the Woodbridge State School for the Developmentally Disabled. Marion enjoyed traveling. Prior to retiring in 2018, she was employed as a teacher’s aid with the Bergen County Department of Special Services in Paramus for 11 years. Previously, she was an Exchange Layout Assigner with Verizon in Teaneck for 36 years. Beloved wife of Robert Simpson. Loving and devoted mother of Michael Simpson, Katie Rivera, Adam Simpson and wife Cecilia and JoAnne Zahn. Cherished grandmother of Abbigail Simpson and Arianna Rivera. The family will receive relatives and friends Sunday, February 10, 2019, 2-4 and 7-9 pm at Vander Plaat-Caggiano Funeral Home, 13-31 Saddle River Road, Fair Lawn, NJ, 201-797-3500,. A funeral service is planned for Monday, February 11, 2019, 10:30 am at the funeral home. Interment will follow at George Washington Memorial Park in Paramus. In lieu of flowers, donations in memory of Marion to The ARC of Essex County, 123 Naylon Ave, Livingston, NJ 07039 would be appreciated. I didn't get the chance to meet Marion in person, but through our messenger chats and videos I know that she was a beautiful person inside and out. I know she cherished her family and friends and devoted her life to them. Her passing from this life has left a void, but I know she has surely received her angel wings and has heard the words, "Well done, good and faithful servant". Love from all in North Carolina. I am so sorry for your family's loss. Marion was a wonderful lady, and a true friend. May she rest in peace. You are with your Mother, Brother and others now. Rest in Peace cousin.